Finally, remote IT support that is frictionless for both agents and customers. How refreshing. Delightful support is no longer a unicorn. Let’s face it. Getting support isn’t your customer’s favorite thing to do, especially when simple issues take too long to resolve. 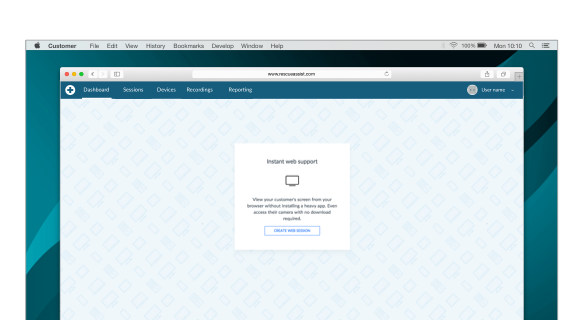 We reimagined the remote support experience to be much more lightweight. A simple plugin allows the agent to view the customer’s screen through any modern web browser. And if the session requires remote control, there’s still no need to dig for a download or jump platforms. Speed and security are top priorities. 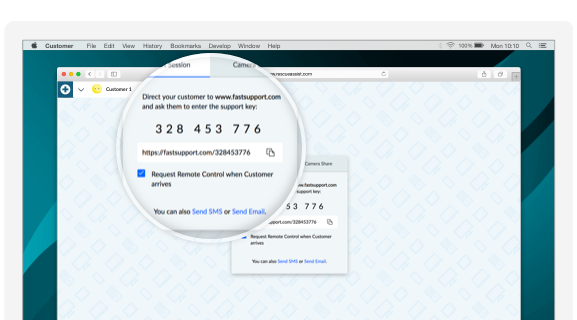 RescueAssist takes advantage of the newest technology to deliver a fully web-based agent console to make the support experience faster, more secure, more reliable, and able to support for more platforms. In-product messaging guides agents every step of the way. Keep end-users on the go. The world is only getting more mobile. Ensure your organization can support end-users no matter what device they’re on. 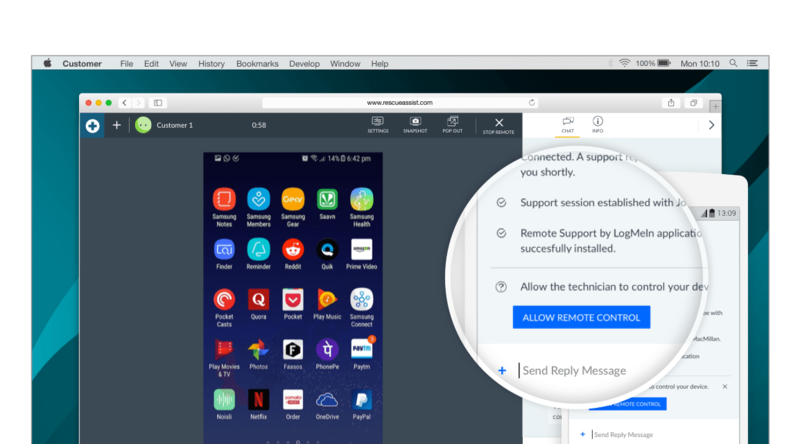 RescueAssist enables remote view of iOS devices and Android devices plus remote control of Android devices, so technicians can troubleshoot issues from the same web-based console that they’re already using for desktop support. Get eyes on the situation. The fastest way to resolution isn’t with a back-and-forth of verbal descriptions that never hit the mark. Live video lets agents quickly see what they’re dealing with. Just one tap from the customer is all it takes to securely share their mobile camera and eliminate the need for expensive in-person visits. Keep your organization humming by offering internal IT support where employees are working every day. RescueAssist integrates with third-party messaging applications, like Slack, to make it easy for employees to reach out for help in a fully familiar environment.